Born in 1899, Georges Hourdin was a French writer and publisher as well as founder of the magazine "La Vie", which continues to this day. 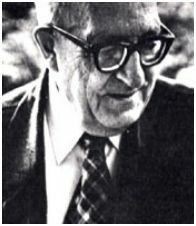 Close to Cardijn and to the specialised Catholic Action movements, he assisted the French YCS (JEC) to launch a journal, Le cri du monde during the 1960s. He died in 1999, aged 100.